The Ketogenic diet is a high-fat, low-carb and low/moderate protein diet with the goal of achieving nutritional ketosis. Ketosis is when the body begins producing ketone bodies out of fat and utilizes these ketones as fuel instead of glucose from sugar and carbohydrates. Nutritional ketosis is a is characterized by serum concentrations of ketone bodies that are 0.5–3.0 mg/dL or 0.05–0.29 mmol/L and can be measured using the Keto Mojo Blood Ketone and Glucose Testing Meter Kit. There is a current debate among researchers as to what the optimal amount of sodium is on a Ketogenic diet and a concern among individuals with high blood pressure increasing their total sodium intake. Dr. Stephen Phinney, one of the authors of The Art and Science of Low Carbohydrate Performance, has stated that the ideal range is 4-5 grams of sodium per day during the Ketogenic diet. It is generally recommended to add 2 extra grams of sodium to your diet if you are experiencing any symptoms of low sodium levels during the Ketogenic diet. Dr. Phinney considers 3 grams of sodium is considered too low while on Keto, while 4-5 grams may be the optimal amount depending on other factors like sweat loss, medications and current health issues. It has been estimated in studies that our Paleolithic hunter-gatherer ancestors took in about 11,000 milligrams (mg) of potassium a day from fruits, vegetables, leaves, flowers, roots, and other plant sources. This may seem almost impossible today, where the average potassium intake is 2,500mg. Dr. Phinney recommends 2,000-3,000mg of potassium while on the Ketogenic diet, however, I would argue that potassium should either match sodium in a 1:1 ratio or be higher when on a low-carbohydrate diet. If you look at the sodium/potassium ratio of the traditional Yukon, Dene/Métis, and Inuit diet that is very low in carbohydrates – you see a daily intake of 2,334mg sodium and 3520mg potassium, 2692mg of sodium and 2608mg potassium, and 2,199mg of sodium and 2,997mg of potassium respectively. However, they are not in a constant state of ketosis. In fact, they have a genetic mutation called the “Arctic mutation” that occurred to prevent ketosis in the presence of a high-fat diet. You can read more on the high-fat diets of the Arctic region and the Maasai of Africa, along with the genetic connection to whether or not you should be following a Keto diet here: Is the Keto Diet Right for You? The answer may be in your genes. I have outlined why magnesium is such a critical mineral in the article How Have We Become So Magnesium Deficient? Aim for 300-600mg daily, depending on exercise, stress, dietary habits, and muscle cramps. I have outlined how to obtain enough calcium in this article How Much Calcium, Magnesium, and Vitamin D Should You Take? The ratio of calcium to magnesium should be 1:1 or higher in favor of magnesium for optimal health. You may have seen BHB salt supplements advertised for the Ketogenic diet. In the case of BHB, I have hesitancy of using it daily long-term. 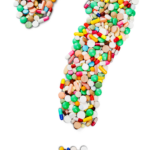 When it is something your body endogenously makes and then you try and take it exogenously as a supplement, it is no longer the same process. BHB may be fine to use here and there to help transition into a ketogenic diet, but it isn’t something I would recommend using long term. If your body produces low amounts of ketones while in ketosis, this may be a clue that you shouldn’t be spending a lot of time in ketosis. Ketosis is a backup system, not a primary system. Second, BHB salts do not put you into nutritional ketosis on their own. They simply add more ketone bodies to your blood, which then goes back to baseline. For people following a Ketogenic diet, they are already producing ketone bodies and do not need to flood their blood with more ketones, which could actually be dangerous if they get too high. What about Caffeine During the Ketogenic Diet? Researchers have debated whether caffeine has long-term ketogenic effects or can enhance the ketogenic effect of medium chain triglycerides. In a small 2017 study with 10 adults, 2 doses of caffeine (2.5; 5.0 mg/kg) were given. The study found that caffeine given at breakfast significantly stimulated ketone production in a dose-dependent manner and also raised plasma free fatty acids. It is important to remember that caffeine is a diuretic (excreting electrolytes) but can also increase blood pressure by activating the sympathetic nervous system. So something to calculate with your caffeine intake is also the sodium loss occurring from both a Ketogenic diet and caffeine consumption. 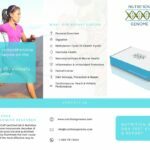 I also recommend getting genetic testing through Nutrition Genome so you understand your caffeine metabolism (slow, intermediate or fast metabolizer) along with genes involved in catechol metabolism. 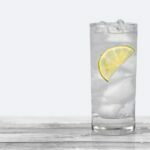 One common mistake people make when following a Ketogenic diet is that they are drinking water deficient in natural electrolytes, while not consuming enough sodium. This is a guaranteed way to experience the symptoms of Keto flu, like low energy and brain fog. Much like utilizing MCT oil to increase fat intake, you will most likely want some assistance in hitting your sodium requirements while on the Ketogenic diet. While you can obtain this by increasing Kettle and Fire Bone Broth or Chicken Broth (use the coupon code swanson20 for 20% off) in your diet, this may not always be at your disposal or convenient. The combination I would recommend using is liquid sea minerals added to water and salt capsules as needed. This is an affordable way to add liquid sea minerals to your water throughout the day to help you hit your electrolyte targets. Saltstick is usually associated with triathlons and the Ironman, however, it fits the bill for helping increase your sodium intake and other electrolytes in easy to take capsules, especially if you are training hard and losing a lot of sweat. Gerolsteiner is my number #1 pick for mineral water. This probably contains one of the most impressive electrolyte profiles for calcium, magnesium, and bicarbonate. While it won’t help you increase your sodium intake, it will help you increase calcium and magnesium intake, along with all of the benefits of bicarbonate including pH balancing and potentially increasing exercise performance.